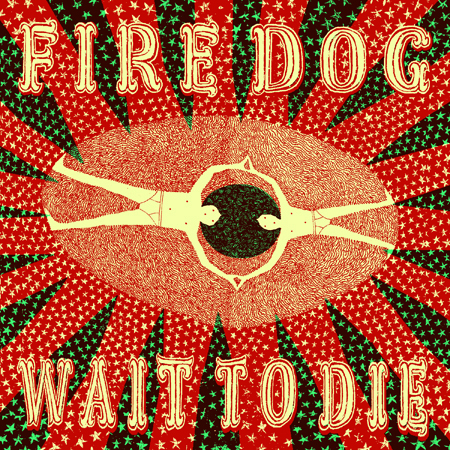 Wait To Die, a memorial/tribute record to the late Dave Hagerty of Fattback, is the newest seven-inch record from Fire Dog. It was released on 17 April MMXI at Off Broadway, with advance copies distributed to record stores across the city in time for National Record Store Day (16 April MMXI). Side B's "Jorge" was written by Hagerty and is performed here by his girlfriend Ellen "The Felon" Cook with Fire Dog as support. Wait To Die costs $7 postage paid; click the image of the record below to order! Fire Dog also has the sixth-to-last track on PP 007 (Pancake Productions Wintry Sampler MMXI). It is "Wait To Die," the title track from this very seven-inch!